Home Twin Flame Essentials Q&A: 5D Twin Flames – Are You Connecting Interdimensionally? Q&A: 5D Twin Flames – Are You Connecting Interdimensionally? Today I’ve been guided to write about something which seems to cause some confusion for Twin Flames and others on the spiritual path. The terminology of “5D” and “3D” are often misunderstood and misused in articles and conversation so spirit asked me to clarify. Many Twin Flames and others on the spiritual path seem to think that all non-physical interaction is “5D”, so that meeting as souls means meeting in 5D. This is not always the case. We all have an astral body, which is how we travel outside of our bodies when we’re asleep and dreaming – and the astral plane can go anywhere from 1D up to the higher dimensions. So when we interact non-physically with our Twin Flame, it’s often these astral bodies which are interacting. It does not have to be in the 5D whatsoever. Just because two Twin Flames are interacting remotely, it does not mean one or both are anchored into the new “crystalline reality grid” of the 5th Dimension. And just because someone is a “spiritually inclined person” does not mean they are operating in the 5th Dimension. The majority of human beings, Twin Flames included, are not far enough into Ascension to reach up into 5D consistently. If we are still in the process of releasing and purging negativity and “3D” ancestral programming, chances are we are at best fluctuating between the old 3D reality and the new crystalline grid. 5D is a high vibration “reality” – a space in consciousness which resides ONLY in the higher vibrations of love, harmony, unity, joy and peace. Negativity does not exist there. Jealousy and shame do not exist there, neither does anger, blame, fear or worry. These energies are out of alignment with the 5th Dimension. Imagine a child trying to reach up to the top shelf to grab some cookies – some people are just not able to “expand up into” 5D yet. Spirit’s own suggestion is to Re-Label the dimensions completely to illustrate more precisely what they stand for. “THE UNCONSCIOUS REALMS”: 1st and 2nd Dimensions. Here, we find the unconscious fear mechanisms, survival patterns, density and heaviness. Above all fear. If we venture down into there by mistake (through dreaming – this is where nightmares most often occur) we can end up connecting with negative consciousness. So-called low vibrational entities (you can read more about this here): Consciousness that is stuck in the negative energies. “THE HUMAN REALITY REALMS”: 3rd-4th Dimensions. Spirit calls this “the illusion” – the “school of life”. The human perception realm of culturally enforced experiences often called “The Matrix”. This is what we are accustomed to as the “regular reality”, plus its corresponding dream plane (4D). We can call 3D the traditional earth society. 3D and 4D reside in the medium range of frequencies, but rarely reach up above love. Fear, anger, conflict are present here but not always. Separation mentality characterizes 3D and 4D – meaning, we see ourselves as separate from others, the you vs me mentality. Twin Flames often interact on the astral planes of 4D, the dimension right beyond this “regular one”. “THE AWAKENED REALMS”: 5th-9th Dimensions. These are the realms where unity consciousness begin. Characterized by love, peace, joy… The predominant atmosphere is one of acceptance, harmony, forgiveness and love for all beings. Unity consciousness and 5D is the beginning of recognizing that we are all the same. Seeing the soul of light, even in someone who has hurt you (read more about this here and how it impacts Twin Flames). 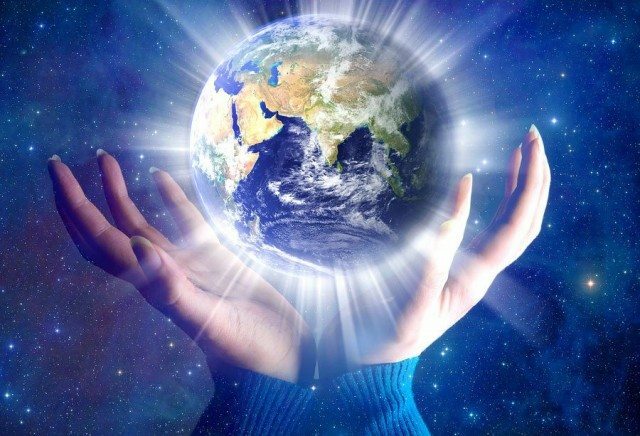 Seeing beyond the “veil of perception” and knowing earth is a “play” where souls of light act out patterns with each other in order to evolve and learn. 5D is still within the realm of where most human beings move up in some part of their lives. Some don’t but most do. When this happens, it’s experienced as elation, happiness. You move up into the clouds, so to speak. Spirit shows us that 5D also functions as a gateway dimensions – a connector up to the higher dimensions, enabling communication with spirit and stepping more fully into our soul gifts. They show us “collecting down” abilities from the higher dimensional self. “THE SPIRITUAL REALMS”: 9th Dimension upwards. Spirit informs us that human beings in Ascension can dream up to the 12th and 13th dimensions then return to our body. But we often don’t remember these dreams fully as our physical body consciousness resides in the 3D range of vibrations and it’s not always capable of “translating” the high dimensional experiences into physical memory. High dimensional experiences are most often remembered in bits and pieces, flashes of visions, or a feeling or having experienced something without quite remembering it. When we have regular gateway openings during Eclipses, Equinoxes and Solstices, spirit shows us that this is what happens: there is a temporary bridge between the dimensions, where new light comes in and old negativity goes out. They seem to know that many have been wondering about where this old negativity disappears to and where new light codes come from. This is their answer. Another interesting insight they have is that some *places* also have gateways to higher or lower dimensions… And if a *person* has a very high personal frequency they become a vortex of light, a personal gateway between the 3D where their body exists, to the higher dimensions. (Someone can also be a bridge to lower consciousness… You’ll notice this if you feel particularly heavy just from being around someone). Where Does Your Soul Really Come From? And this is where the Twin Flame mission comes in – when the Twins are united in Unconditional Love they become a permanent gateway to the higher dimensions and enable high vibrational energy to spread from their system and out to others, benefitting not only themselves but anyone who comes into contact with them. The cosmic plan is described to us as cleansing the whole earth from the inside out to uplift the collective energies to a higher vibration of love, peace, unity. We’re also shown that many Twin Flames and other Lightworkers originate as souls from the Higher Dimensions – so that when we Awaken inside our physical body we can more easily reach up and bridge the dimensions. Creating “heaven on earth”. On the contrary, those souls who have been reincarnating on earth solely are not equipped to reach up into the unity consciousness of love. Therefore we “volunteered” as souls to come here and assist them. This is shown to us as being a major reason why so many Twin Flames incarnate into families with dysfunctional patterning – above all families where there are issues regarding love, self love and forgiveness. When we communicate with spirit, this consciousness resides in the very high dimensions, and most of these will lower their own vibration in order to reach us. It’s shown to us that spirit guides/”angels” lower their vibration to reach us from the 12th down to 9th Dimension, where we are capable of simultaneously raising our vibration to “meet” them temporarily to receive communication. However, the so-called gateways create “shortcuts” between the dimensions and is the reason why we find it easier to communicate with spirit and dwell in the mindset of love and peace during certain times or in certain places. Are You Traveling Inter-Dimensionally In Your Dreams? You might notice that you sometimes dream about elevators, escalators, steps – these are all symbolic of dimensional travel. Try to make a note of your dreams so that you can be “in the know” about what your full soul consciousness is experiencing on your journey. Another way of knowing what’s happening with you regarding dimensional alignment, is to notice your feelings. When we are in the low emotions of fear, worry, jealousy and blame we are in essence interacting in the low dimensions. When we are up in the higher states of love, forgiveness and happiness, we are as souls experiencing the high dimensions. Many experience issues with blurred vision as they get accustomed to expanding dimensional reach. From what I understand, this does settle down as Ascension levels out. Discover what vibration you and your Twin Flame connection is in right now, and whether you’re really open to Unconditional Love! Spirit had me create a special quiz for the Twin Flame collective to assist in this. Go here to take the quiz now! Another side note – sometimes it’s actually healthy for our system to have the spirit ground back into a 3D vibration so the body feels more settled, less stressed. Because the body is per definition of the 3D physical world and it’s pushed to adjust when the spirit’s vibration reaches high. As always, I’m sending you love and light for your continued journey! <3?